you also gonna need a pot to cook the coconut filling and a steamer to steam the suman. 4.add the 1 cup of sugar and mix until all combine. 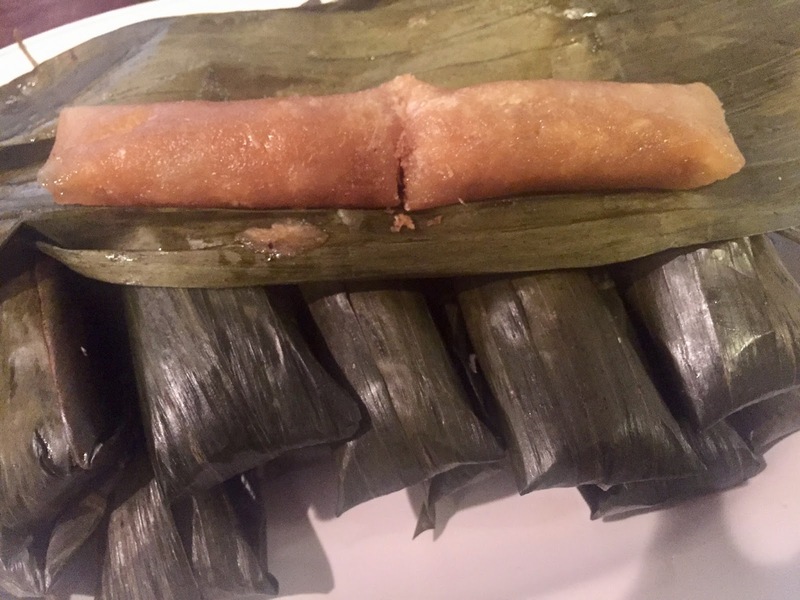 5.Take 1/4 cup of the suman mixture and spread it on the banana leaves.Then,add 1 tbsp.of the coconut filling and roll it tightly securing both ends.